Welcome back! Join us for tea Tuesday 9/11 at 2:30pm Welcome Katie DeFord! 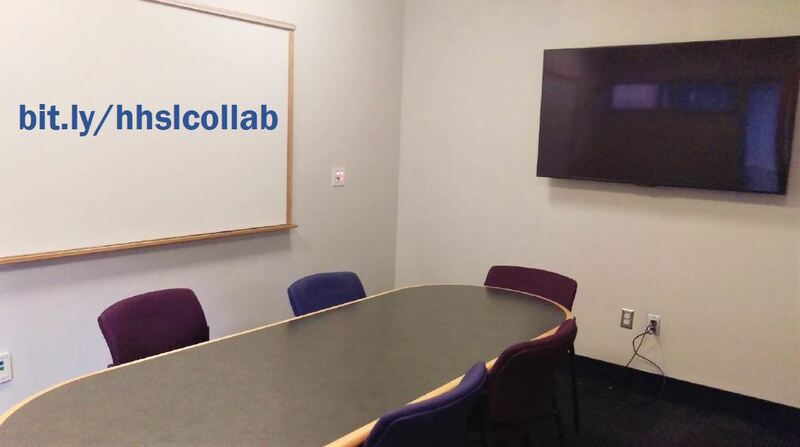 As we kick off a semester full of collaborative opportunities, we wanted to take a moment to (re)introduce you to our Collaboration Rooms. The Collaboration Rooms are the seven rooms on the 5th floor that groups can reserve in advance for collaborative work. They all have whiteboards and monitors for you to connect to your laptop… and most of them have windows! Since we have a limited number of rooms, we have policies in place to make sure that as many groups as possible have the opportunity to reserve a room. The rooms can only be reserved by groups of 2 or more. 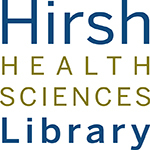 If you’re planning to study alone, you are welcome to use the rooms on a first-come, first-served basis, but you cannot reserve one just for yourself. Each room can be booked up to 4 hours a day and up to 3 times a week per group. You must provide the names of all group members when you make a reservation. If the room is left empty for more than 15 minutes during the reservation period, it will be made available to others on a first-come, first-served basis. You can find the full room reservation policy on the Collaboration Room page. Please take time to read through it before you book a room, as violations may result in forfeited reservations or the revocation of your booking privileges. 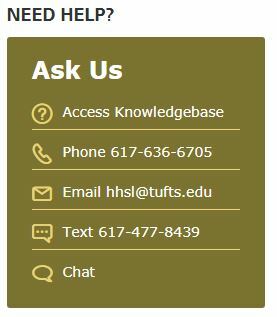 You can always email us at hhsl@tufts.edu if you have any questions. Happy collaborating! P.S. If you’re not sure that a collaboration room is right for your needs, hop over to our Room Reservation Wizard to see what spaces might be good for you.